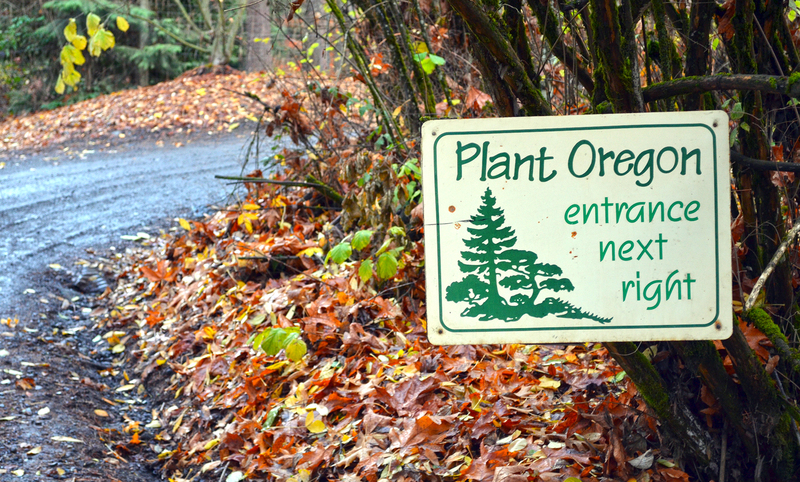 It’s easy to miss the turn that leads to Plant Oregon. The country road curves sharply through the foothills of the Siskiyou Mountains and demands attention. An understated sign sits next to a tall tree and blends into a long row of mailboxes. Even if you do make the right turn, you might still question yourself after passing a barn and a vintage car or when two dogs bound after you. 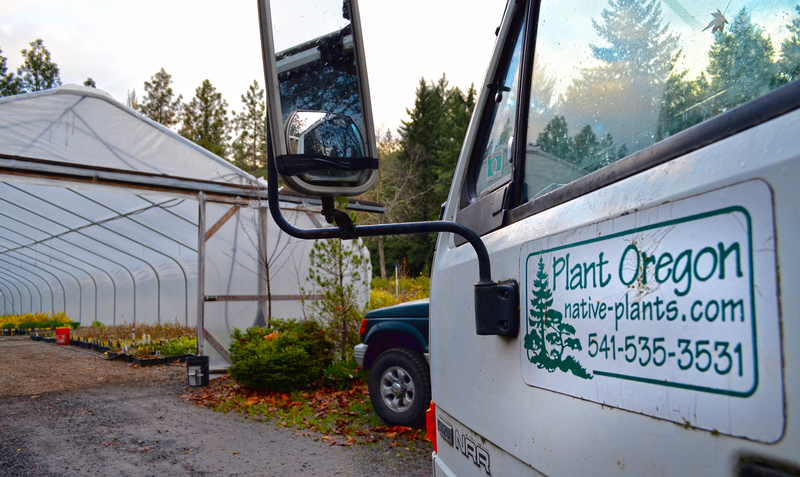 It’s more like visiting a private home than one of the largest nurseries in southern Oregon. At the end of Wagner Creek road, you’ll find both. Family owned and operated Plant Oregon is The Freshwater Trust’s primary restoration contractor in the Rogue River basin. Since 2012, TFT has worked with landowners throughout the Rogue basin to plant native trees and shrubs along the river and its tributaries. The goal is to produce shade and offset the warmer water discharged from the City of Medford’s wastewater treatment plant after treating water used by nearly 200,000 people. Under the Clean Water Act, the city is obligated to mitigate its temperature impacts. Warmer rivers have less oxygen and cause fish eggs to incubate earlier, decreasing survival rates. Over the past five years, TFT has done nearly a million dollars worth of business with the nursery. It’s not a drop in the bucket for any business, much less a small one in rural Oregon. Dan is the patriarch. Dave, his 36-year-old son, runs the nursery alongside him. Dave’s wife Jenny keeps the books and helps with customers. Son Skylar is growing up on the property too. 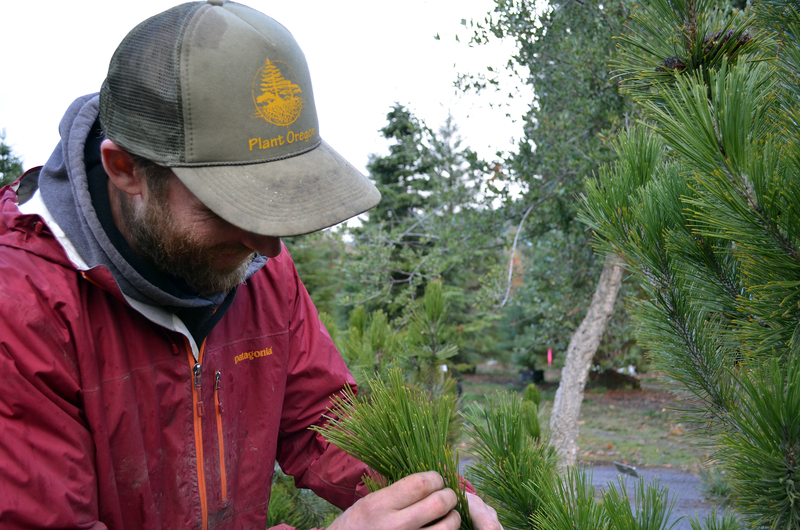 Plant Oregon’s crew of seven supplies TFT’s dozens of restoration projects with Ponderosa Pine, Black Cottonwood, Big Leaf Maple, Oregon Ash and White Alder. They’re also often responsible for installation and stewardship to ensure these trees thrive. 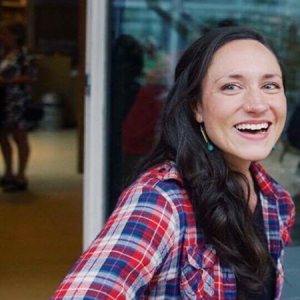 “The fact that we hire local people and businesses in these communities means we’re not just doing good for the resource, we’re providing jobs and doing good for the economy,” said Wier. 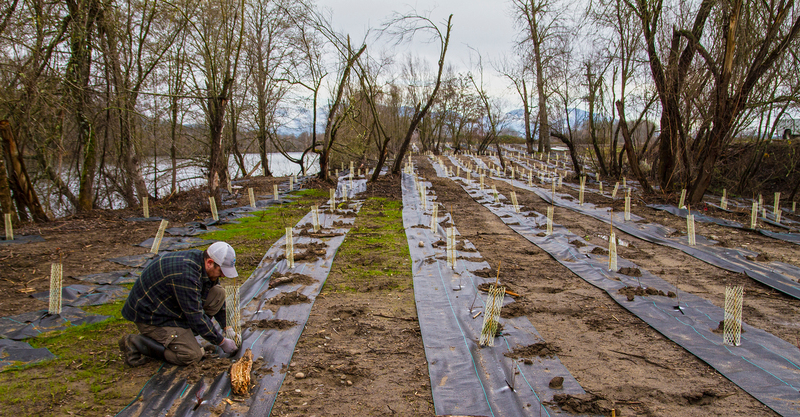 Since 2012, nearly 30 acres and 4 miles of streamside have been planted along tributaries of the Rogue, including the Applegate River and South Fork, Bear and Little Butte Creeks. The plants are reducing erosion, filtering nutrients, sequestering carbon, and producing shade. As stipulated in the agreement with the City of Medford, the vegetation planted by TFT and Plant Oregon needs to offset 600 million kilocalories worth of solar load per day. A kilocalorie represents the amount of energy required to raise the temperature of a liter of water by 1.0 degree Celsius. TFT uses satellite imagery and modeling to assess where the trees will have the maximum benefit. Next, 20-year leases with willing landowners are signed and plants installed. Diligent project maintenance ensures the plants will thrive and routine monitoring documents the intended outcomes over time. The Bish family has called southern Oregon home for generations. The business was founded in 1976, when Dan was 21. 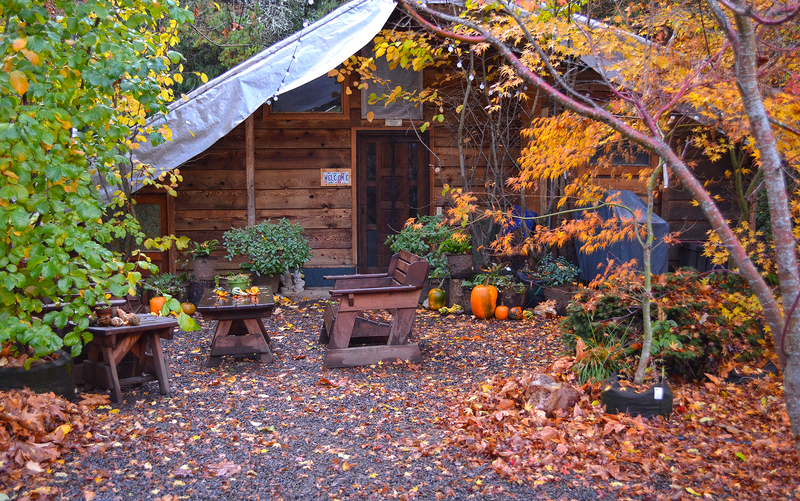 The family’s 50-something acre homestead runs along Wagner Creek, a tributary to the Rogue. 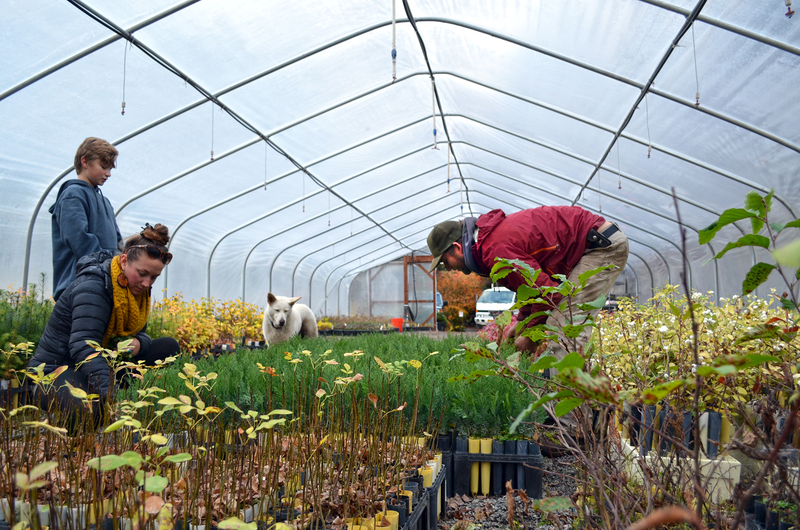 Standing among the rows of tall trees and short shrubs that seem to envelop a cabin and office, greenhouses, a pond, company trucks and an electric car, you can hear it flowing. To continue to offset the temperature impacts of the Meford’s wastewater treatment facility, TFT will recruit dozens more landowners to participate in streamside restoration. Many of the plants used in coming years will come from the Bish family’s place along Wagner Creek and their second plot of land, Lookfar Farm, on the east side of the Rogue River Valley.